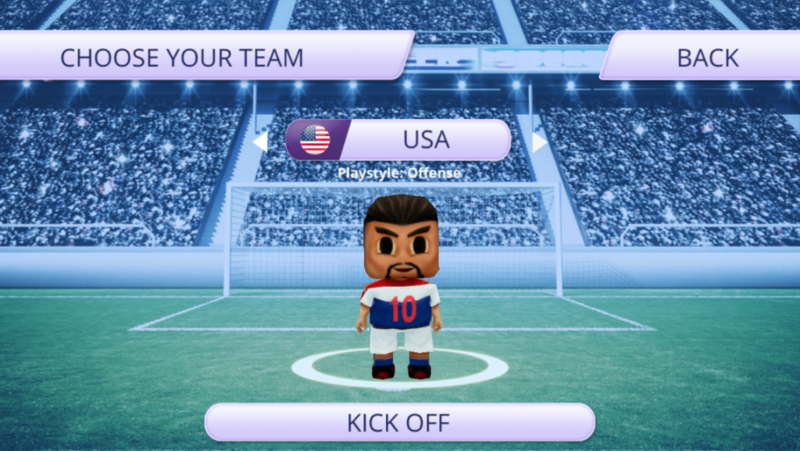 YOU WILL NOT BE DISAPPOINTED BY THIS BLOCKY SOCCER STYLE GAME. This is a soccer game that you can actually play soccer in. There are many game modes, and you can pass, block, steal and shoot just you might expect in any soccer game. Love this soccer game, fun to play and adorable! 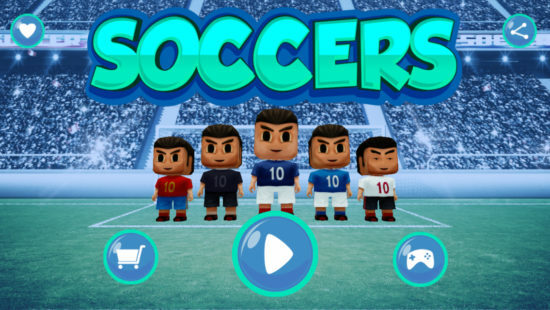 “Soccers” is a powerful, pocket-sized soccer game that is as addictive as any console game. There are multiple game modes, you can pass, block, steal and shoot just as you would expect in any soccer game. You will not be disappointed by this blocky soccer style game. You also get to choose from many soccer teams such as Argentina, Brazil, England, France, Germany, Italy, Spain, China, USA and more. The game also has complex breakdowns of the various teams’ skill-sets like speed, shooting ability, dribbling skills, defense and even team morale.